I’m sure you’ve seen some of Carrot’s case studies about how a solid SEO strategy can turn low-traffic real estate websites into lead-generation machines. It’s all true, and there’s nothing mysterious about it. Once you begin implementing SEO best practices, over time, you’ll see a significant increase in leads. You just need to be patient and consistent. After all, there are a lot of websites trying to rank well on Google, which means there’s a lot of competition out there. When people in your local market are looking to sell or purchase a home, it’d be great if you were the first name they saw, but that will only happen if you begin ranking for the right keywords in your market. That’s SEO in a nutshell: a way of earning a high rank on search engines by optimizing content for relevant keywords. If you don’t have a lot of money to spend on advertising (like PPC), then SEO is your best choice. Just note that it isn’t immediate – It takes a few weeks for Google to index your website, and once that happens you’ll still need to consistently produce keyword-rich content to improve your ranking and get “crawled” more often. SEO is the most cost-effective lead generation strategy you can use. Over 94% of total organic traffic happens on Google, and the National Association of Realtors reports that real estate searches have nearly tripled over the last several years. Ranking for the right keywords now could lock you in for years of success later. And in this article, we’re going to discuss how to do localized keyword research that’ll have you dominating your market in no time. If you aren’t on the first page of Google’s search results, you’re pretty much invisible. That might sound discouraging, but don’t worry. You probably won’t be going head-to-head with Zillow or any nationally known realtor while you’re trying to rank for your keywords. As far as search traffic is concerned, you’ll just need to compete with local real estate agents and investors who are also fighting for a good position on the results page. 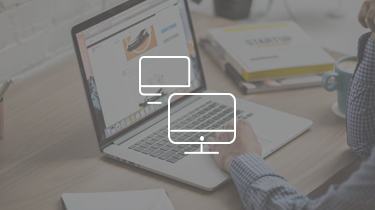 This evens the playing field, but that doesn’t mean optimizing your site is going to be easy. If you’re doing this on your own, you’ll need to publish SEO-friendly content consistently. Alternatively, you can sign on for one of our Content Pro or Advanced Marketer plans, which will provide you with great articles that are ready to rank. The success of your SEO strategy depends on what keywords you want to rank well for and how effectively you optimize your content for those keywords. If you choose overly competitive, irrelevant, or low-traffic keywords, then all of your hard work won’t amount to much. On the other hand, if you choose less competitive, locally relevant keywords, then you can bring in a lot of organic traffic without spending a massive amount of time or money. This is where things get intimidating for a lot of SEO newcomers. How do you know what the “right” keywords are? 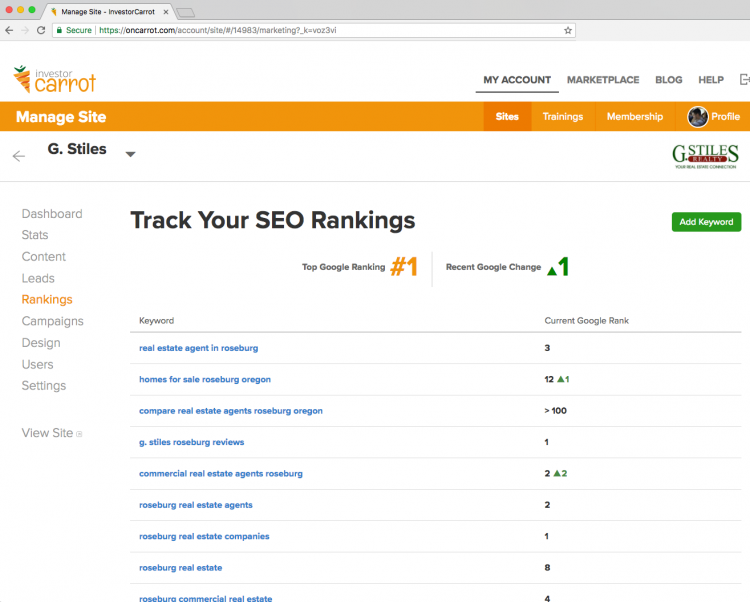 Once you get the hang of it, you’ll see that it isn’t as complicated as it sounds, and if you’re a Carrot member, you can use our SEO tool and ranking tracker which will walk you through the process of publishing high-quality, SEO-friendly content. This will make ranking a lot easier! 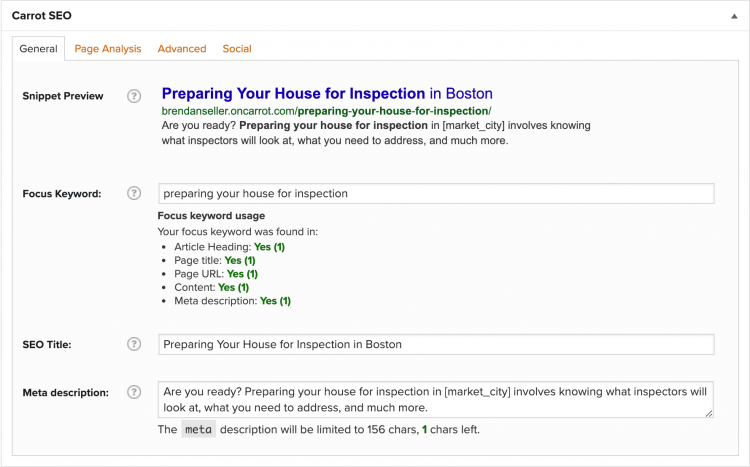 What are the Best Keywords for Real Estate SEO? Keywords like “homes for sale” or “sell my home” will probably be too competitive for your new website to rank well for, but those aren’t the ones you need to focus on. What does it matter to you if someone three states away, finds your website? You aren’t close enough to close that deal anyways. These types of keywords will help you dominate your niche and build up a wide net of searches that lead to your website. That’s great, but the real beauty about local keywords is that they bring already motivated leads right to you. This is much better than using lead sources that could dry up or cold calling all day, hoping that someone somewhere might need your services. With SEO, the people who find you are already considering buying or selling their home. That’s why SEO leads have a higher conversion rate than all other types of leads. Clearly, local keywords are where it’s at, but how do you know which ones are the best? Well, we’ve put together a free SEO Keyword Bible that’s packed with the top lead-generating keywords for agents and something similar for investors. But if you want to do your own keyword research, consider using Ubersuggest. Keep in mind, though, that that tool probably won’t show any search volume for localized phases you type in. So the best way to use the tool is to type in un-localized phrases (sell my house fast, best real estate agents, buy a home, etc) to determine how popular those phrases are overall. Then, once you’ve decided on which keyword phrases to target, localize them for your own market. Note: The low search volume for localized phrases in Ubersuggest doesn’t mean that people aren’t searching for the phrase. It just means that the search volume is low enough or inconsistent enough that Ubersuggest isn’t reporting numbers for it. 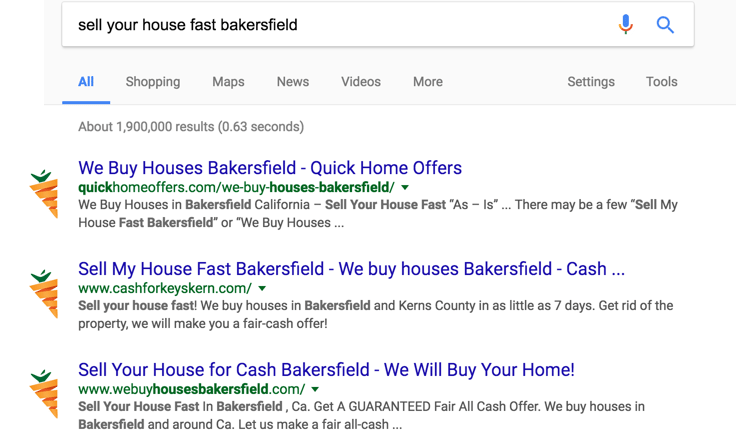 At Carrot, we’ve found that even when the tool says “no search volume” for obvious localized phrases (sell my house fast in [market city], for instance), it’s still well worth your time to rank for these high-intent phrases. Once you’ve found and chosen your keyword phrases, it’s time to use them on your website (ideally, only target one phrase per page). Aim for between 1%-3% exact match keyword density and sprinkle LSI keywords throughout the page as well — we’ll discuss this part of the process in more detail in an upcoming lesson. There are many tools you can use to help you find the best real estate keywords for SEO. 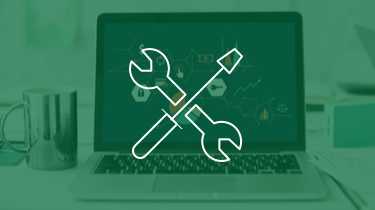 You can use these tools to gather information like search volume, ranking difficulty, keyword value (if you’re using the keyword for paid traffic), and competition. Just to name a few. Here are some of our favorite tools to get you started. Ubersuggest… mentioned above. This is a very easy to follow keyword tool. You can see suggestions, volume, estimated paid competition, and estimated competition in organic traffic. Ahrefs is a complete platform full of keyword research, content and SEO+PPC tools. Google Ads Keyword Planner (you’ll need a Google Ads account) lets you gather monthly local search volumes for keywords, competition levels and the estimated cost per click. SEMrush provides keyword data. You can use their free tool for a trial period, but beyond, this is a paid tool with many other SEO and PPC research features. The SEO Book Keyword Suggestion Tool is only accessible to logged in members who have registered a free account. It provides search volumes, related search terms, estimated values and more. Similar to the Google Ads Keyword Planner. 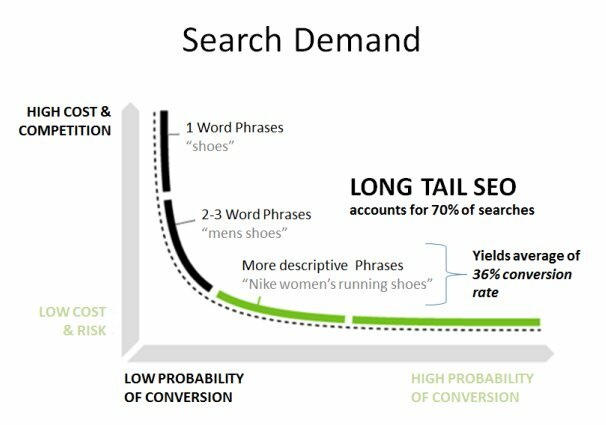 Long-tail keywords are phrases that contain at the very least three words. Although we like to see four or five. Long-tail keywords are a great way to target your niche location rather than trying to rank for a more generic term. In other words, long-tail keywords are more specific and often have less competition. Long-tail keywords will allow you to rank higher in search results for popular niche topics fairly quick while you might be trying to rank for harder terms, such as “we buy houses in [market city]. They tend to attract more qualified traffic that is more likely to convert into leads. In conjunction with the keyword research tools mentioned above, you can also take advantage of Google Suggestions to find quality long-tail real estate terms. If phrases turn up in a Google suggest, you know that it is a phrase people are searching for. Some of the suggestions might not fit your goal but they can inspire other search terms that you can use within your content. Ok. But is SEO Really that Good for Real Estate? Yes, it really is! At Carrot, we can vouch for the power of SEO. 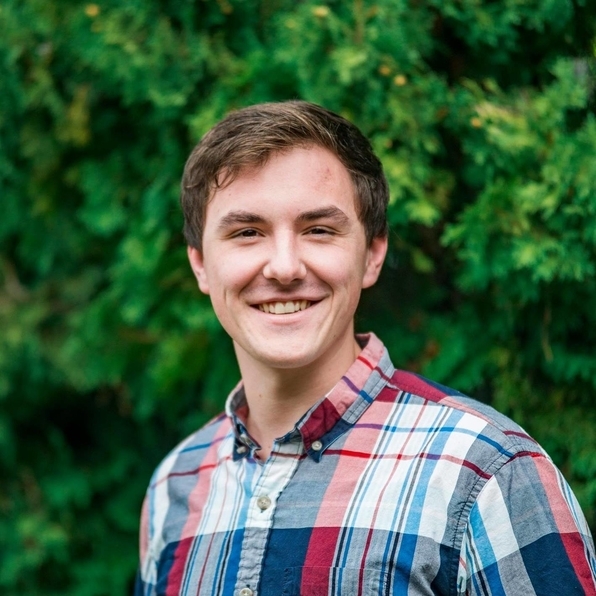 Even though we have to compete with huge companies for our keywords, our killer SEO strategy helped us grow from a fledgling startup to an Inc. 5000 company (#699). Carrot members also see the benefit of SEO for their real estate websites. In 2018, SEO drove 36.4% of our Carrot member’s leads. That means they didn’t have to put as much money into PPC, and it saved them plenty of time from having to cold call or place bandit signs. 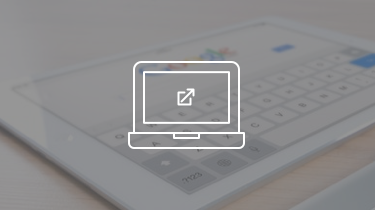 There are plenty of other benefits to optimizing your website with the right keywords. Beyond pulling in long-term passive traffic and leads, it’s free if you do it yourself. That might sound difficult, but it’s entirely possible, and Carrot has plenty of resources you can use to make it easier. SEO also adds credibility to your site. People see ranked search listings as more reputable than advertised listings (like the articles with the green Google Ads “AD” boxes on the top of some Google pages). Getting the first position for a great local keyword without paying for it will impress prospective leads. Even if you decide to invest in a Carrot plan to help you with your SEO strategy, you can expect a great return on investment. After all, a high rank on Google will help you pull in a lot of more leads and close a lot more deals… but only if you target the right keywords. Which you should now know how to do — but if you have any questions, throw em in the comments and we’ll help you out.